An investigation is underway in the cause of a huge fire at a synagogue in Cape Town on Tuesday night. Callers into the Late Night show with Sara-Jayne King described seeing 'enormous flames' engulfing the building on Arthurs Road in Sea Point just after 11pm. 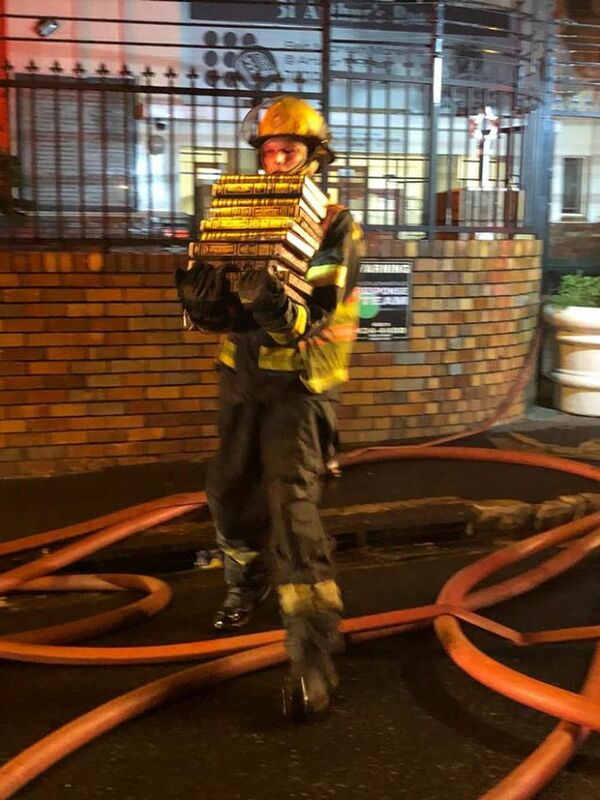 Firefighters were able to put out the fire in the early hours of Wednesday morning, but many religious articles and holy books were lost in the blaze. Listener Helen Lieberman lives opposite the schul, she called in to the show to praise the work of the fire crews. What is unbelievable is to see them going into the fire and rescue our religious artefacts, our books and our Torahs and our prayer books. There's a lot of action here - it's like a movie, but a horror movie.